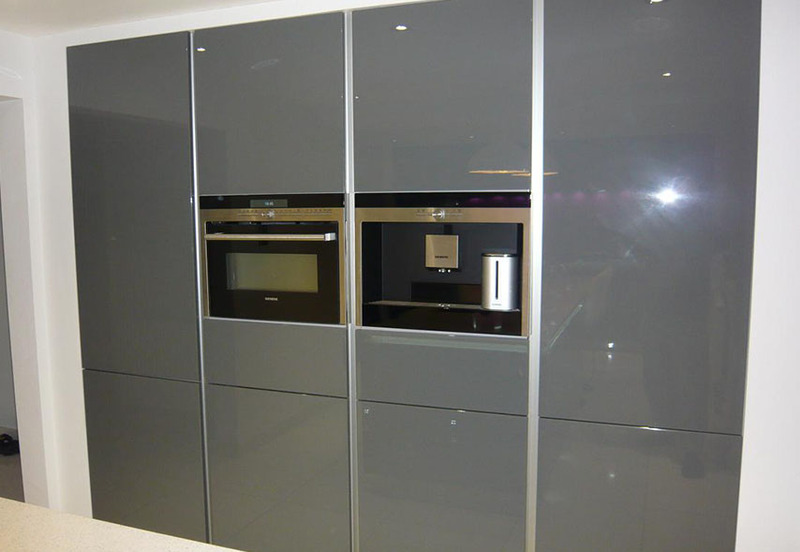 Next125 Anthracite gloss lacquer handle-less. 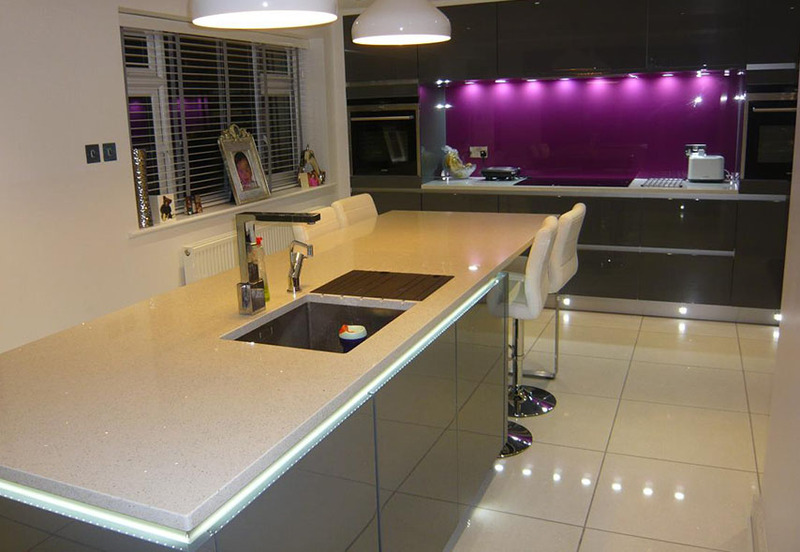 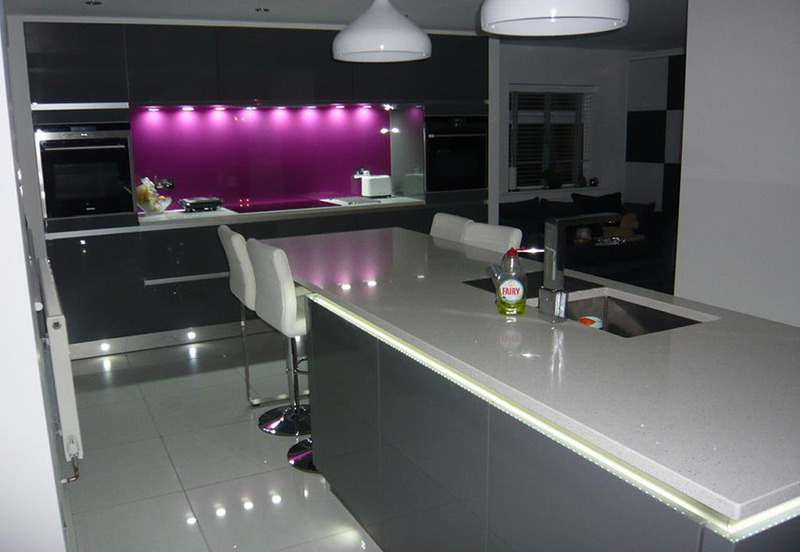 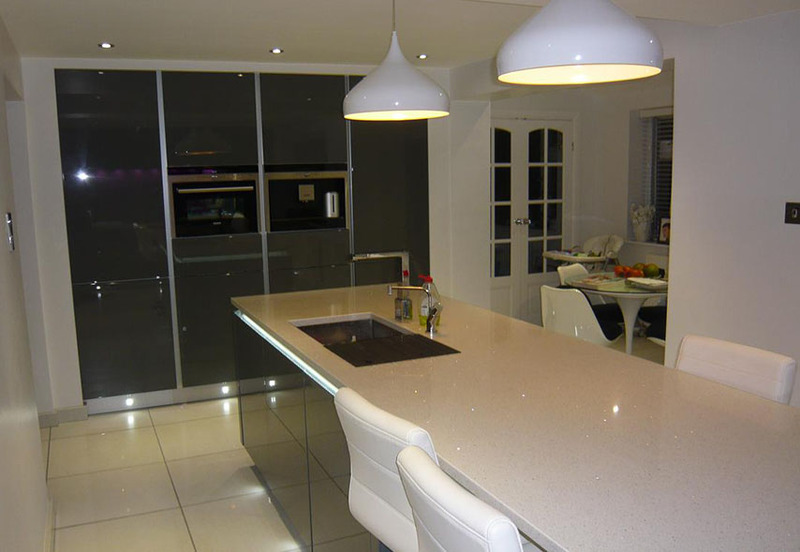 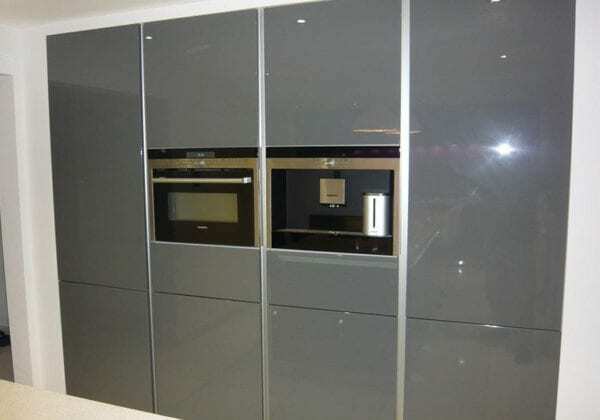 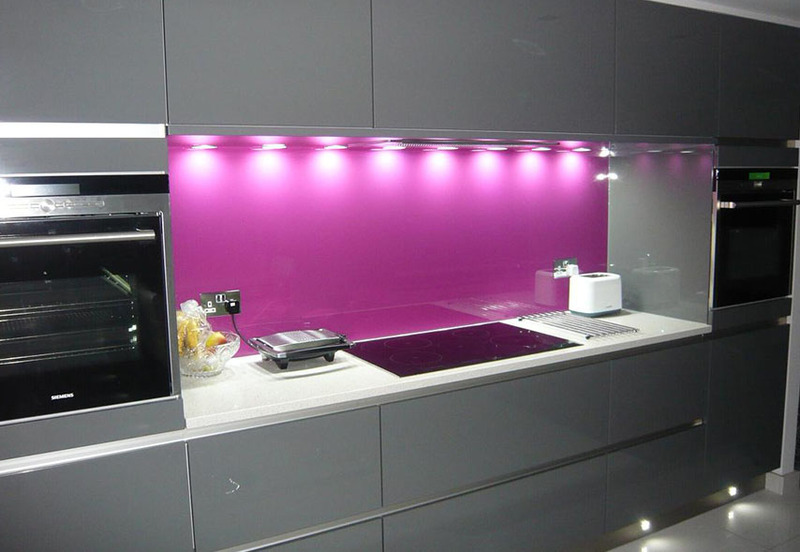 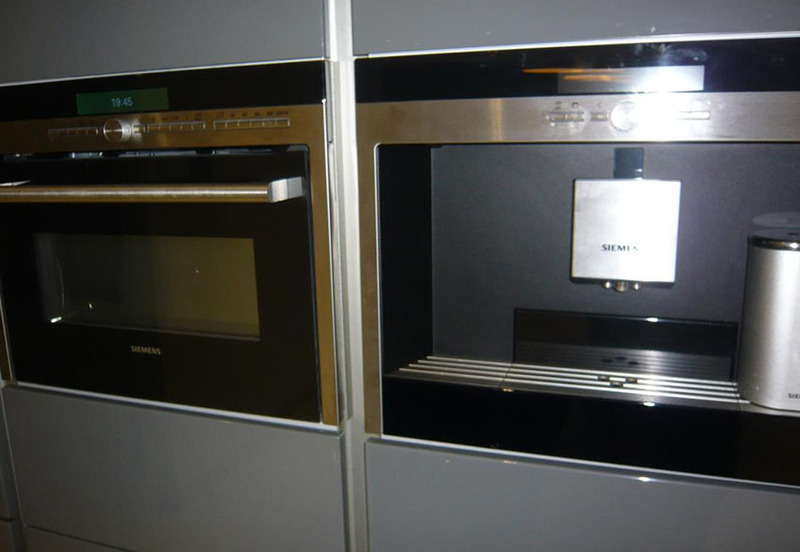 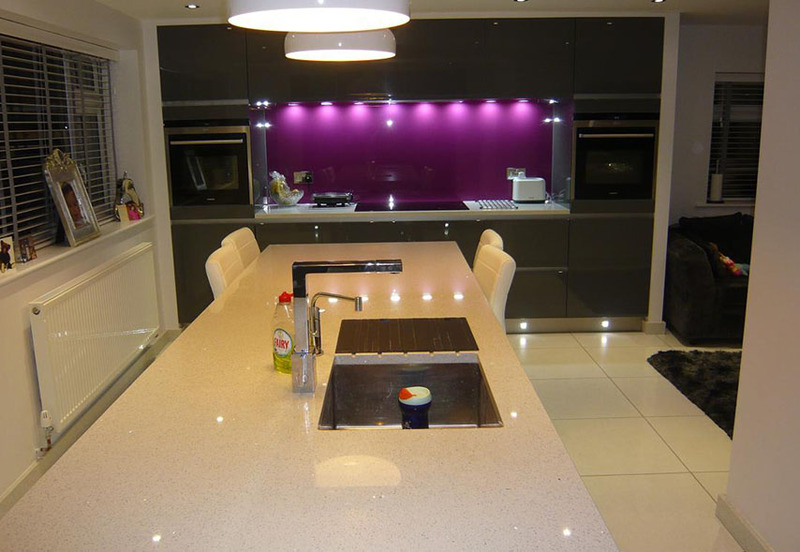 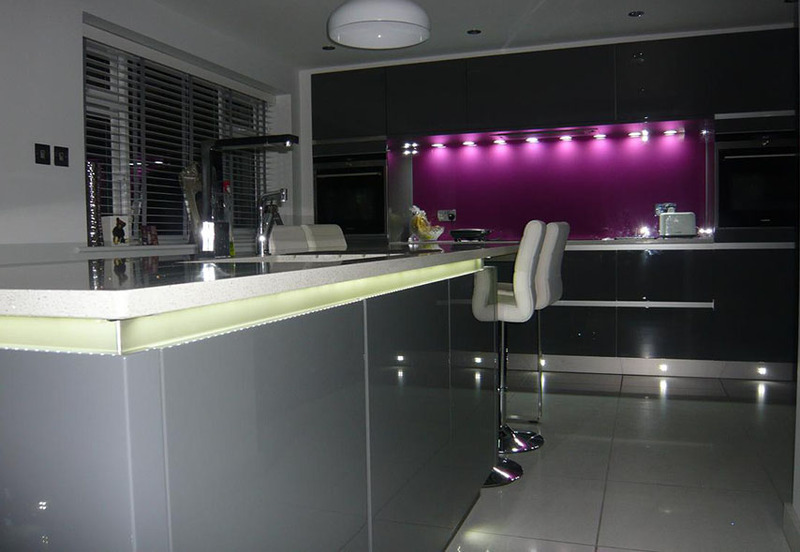 Violet toughened glass splashback. 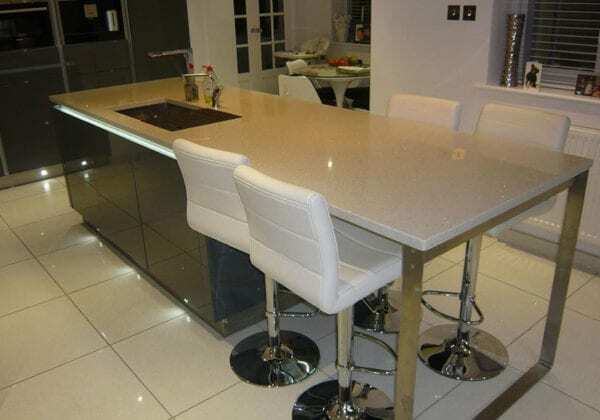 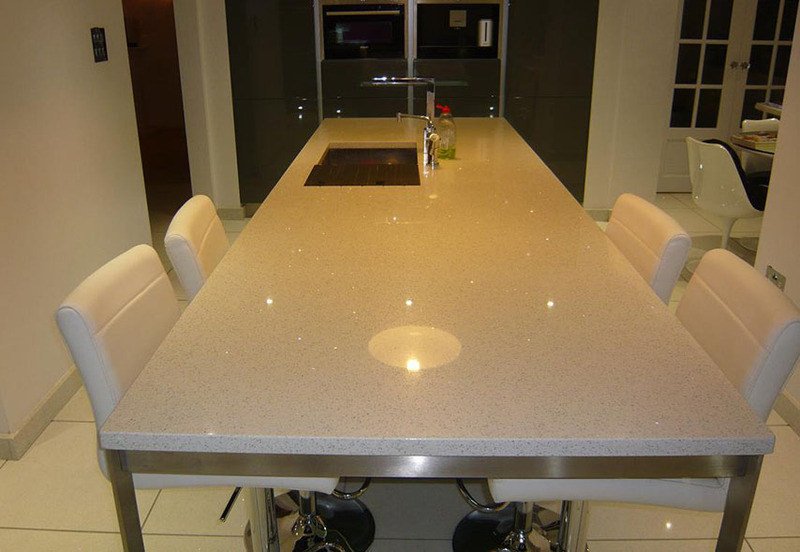 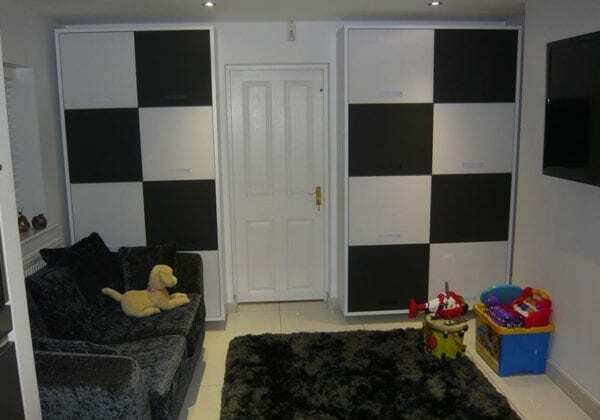 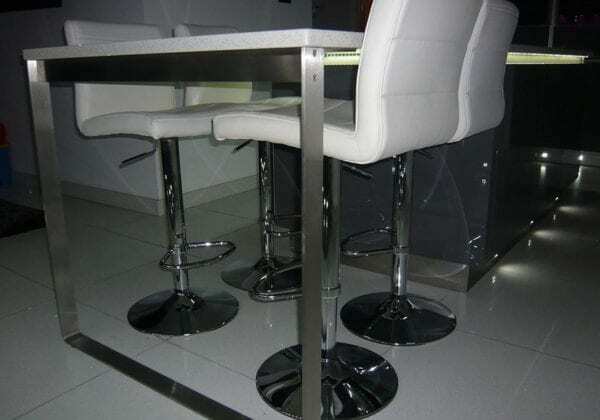 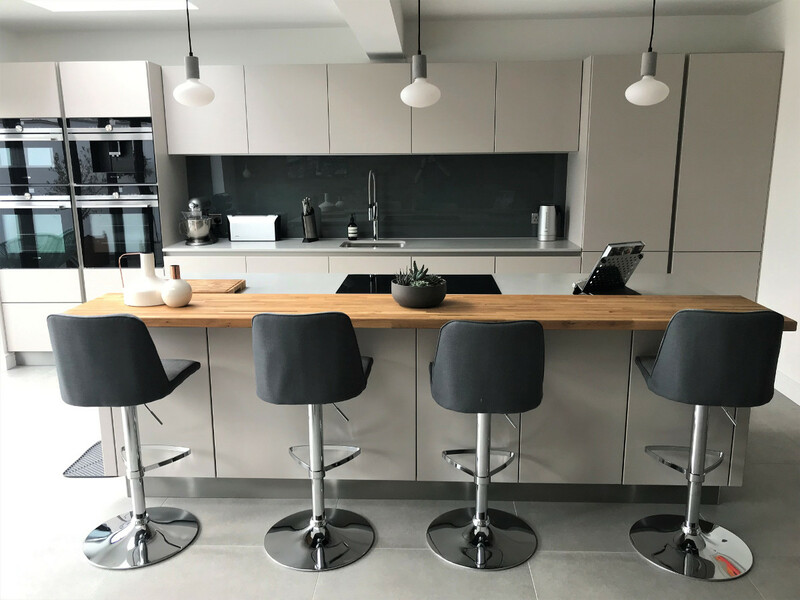 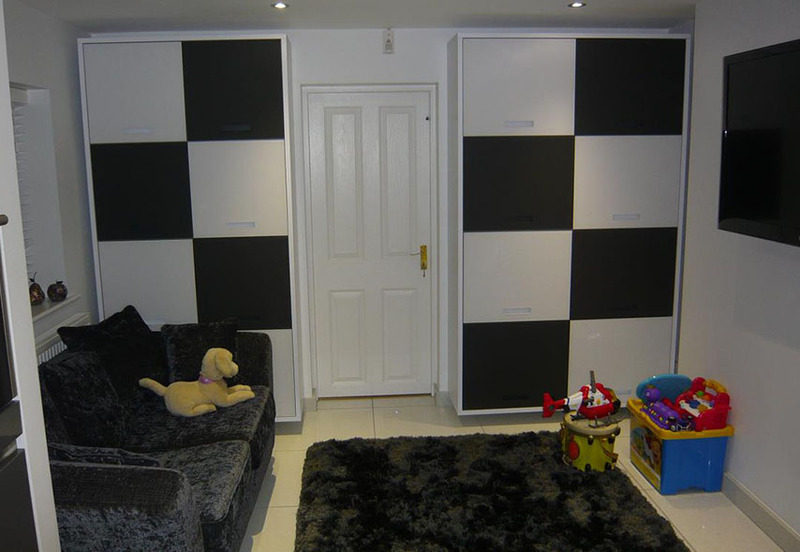 Quartz mirror worktops with matching floor tiles. 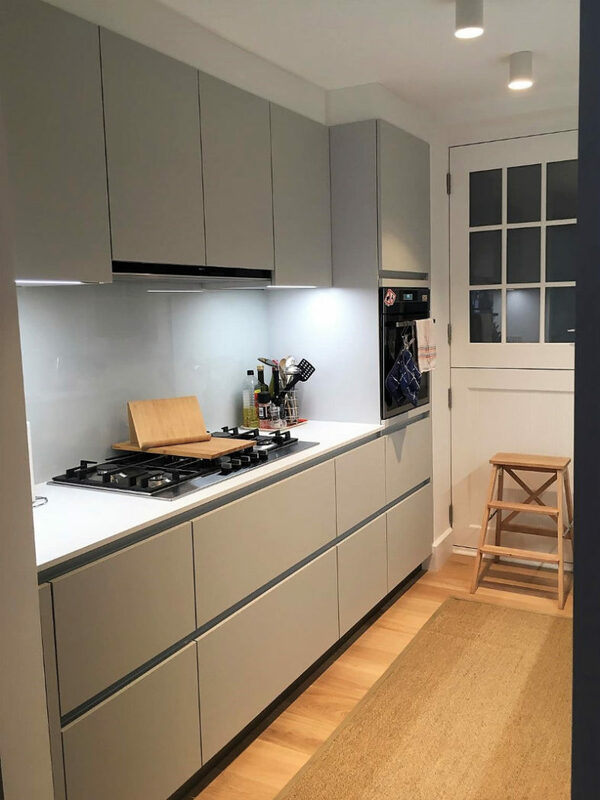 Recessed led lights under the rim of the quartz worktop.